Back in the early to mid 1990’s online gambling was born, and in those very early days the best description you could give to that brand new gambling environment was the Wild West! A huge number of online casinos, poker sites, and sportsbooks as well as bingo sites opened and were freely able to accept players and deposits from any player no matter in which country they lived. In fact, online gambling was such a new phenomenon banks and credit card companies would have no problems allowing you to use your debit cards or credits cards at those sites, and as such it was very easy for anyone to get online and gamble with no restrictions what so ever. However, it was a completely regulated industry back then and as such anyone with the means available to open and type of gambling site was able to do so, and that did of course lead to many undesirables being in a position whereby they could offer all manner of games of chance to players with no one overseeing and regulating their operations. Whilst many of the gambling sites that did open up did make some form of effort to ensure players at their sites had access to fair and random games and could withdraw their winning quickly and on time, some gambling sites quickly gained a reputation as slow or even worse no pay sites. Thankfully however as the years ticked by more and more Governments have actively sought to put into place some form of regulation and licensing structure whereby all manner of different sites can apply for and be granted gambling licenses in various countries, which ensures that gamblers based in those countries have protection should they experience any type of problems when gambling at any site that is licensed in those countries. With that in mind if you are thinking of gambling online you will always be best advised to only consider opening an account at any site that is licensed in your own home country, as that way you will have the added protection of knowing those sites will be required to adhere to a very robust and stringent set of rules in regards to their respective gambling sites, as laid down by the licensing authority of gambling commission in place in each country. To give you some ideas of just which countries do have their own Gambling Commission and/or Licensing Authorities, below you will find an overview and description of each of them that are currently in operation. Kahnawake Gaming Commission – One of the very first parts of the world to put into place some form of regulatory structure that enabled them to license, regulate and also house the gaming servers for a range of different gambling sites was the Mohawk Territory of Kahnawake in Quebec. It is the Kahnawake Gaming Commission that has been tasked with overseeing all gambling sites that have their servers based there, and whilst in the early days of online gambling they didn’t really have any structure in place to address players complaints effectively they have recently put into place a fast track complaints procedure and service that allows players to have any complaints or problems addressed quickly by contacting the Commission directly. Nevada Gaming Control Board – Nevada has had since the mid 1950’s a structure in place that ensures all gambling venues located in that US State adhere to some very strictest gaming laws and regulations and it is of course the Nevada Gaming Control Board who ensures those laws and regulations are adhered to these days. However, due to the popularity of online gambling, and being such a forward thinking US State it was decided in 2013 that the Nevada Gaming Control Board would start to license online gambling sites and as such that is something they now do. One thing worth knowing however is that if you do wish to gamble online or via any type of mobile device at a gaming site licensed by them you are only going to be able to do so if you are based within the State boundaries of Nevada. New Jersey Division of Gaming Enforcement – Sadly land based casinos and gambling in general in New Jersey is on the decline and there have been many very long established and very well known land based casinos in that US State that have closed their doors recently. However, New Jersey is one of only a handful of US States that has fully embraced online gambling and as such the New Jersey Division of Gaming Enforcement are not only tasked with regulating, licensing and overseeing land based bricks and mortar based gambling venues throughout the State but they are also able to license and regulate online gambling sites too. Much like Nevada however you are only going to be able to legally gamble at any licensed gambling site if you are within the State boundaries, and all such sites have to have in place a GEO location system in place on their sites and gaming platforms to ensure only people within the New Jersey State boundaries can sign up to, deposit and then gamble at those sites. UK Gambling Commission – One part of the world that has always had a liberal outlook to all manner of different gambling activities is of course the United Kingdom, and it will probably not surprise you to learn the UK has in place a gambling licensing and regulating structure that allows for some very strict regulations to be in place and adhered to by any licensed gaming venue whether a land based one or online or mobile gambling site. It was way back in 2005 that a new Act of Parliament was put into law and that saw the formation of the UK Gambling Commission who is tasked with overseeing every single type of gambling activity that takes place in the UK. 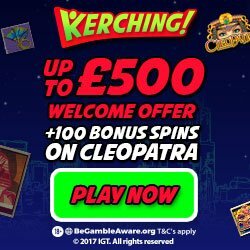 As such if you are one of our many website visitors that are based anywhere in Great Britain you should always ensure any gambling sites you sign up to and gamble at are licensed by the UK Gambling Commission as you are highly unlikely to run into any type of problems gambling at those sites due to the high level or regulation those sites have to endure! Gibraltar Licensing Authority – For a tiny British outcrop attached to the Southern Tip of Spain, Gibraltar has firmly established itself as a major online gambling licensing jurisdiction and has been licensing and regulating a huge number of online gambling sites and gambling related companies for many years. Thanks to their low taxation rates and their robust licensing procedure it is a safe bet that you are rarely if ever going to run into any problems when gambling at any site that has been licensed and approved by the Gibraltar Licensing Authority so be on the lookout for such sites. Gambling Supervision Commission – Whilst the Isle of Man is hardly known as an island where gambling is a huge pastime or activity that many of the residents there engage in they do have their very own licensing commission known as the Gambling Supervision Commission. One company that has a huge presence online is Microgaming who has chosen to base their Head Quarters on the Isle of Man, and their online and mobile casino, poker and bingo software platforms are utilized by a great number of different gambling sites and companies. Alderney Gambling Control Commission – Alderney is another British dependency that has been able to put into place their own online gambling licensing structure and regulatory commission that being the aptly named Alderney Gambling Control Commission. Whilst there are not a large number of companies who have chosen to be licensed on Alderney those that are benefit from low taxation and licensing fees and players do always have the assistance of the AGCC should they experience any unresolved problems when gambling at any site licensed there. Jersey Gambling Commission – The Jersey Gambling Commission or JGC is not famed for their huge range of licensed gambling sites, however you may come across a number of companies that do design online games of chance such as casino games and companies that also verify the randomness of such games that are holders of a JGC license. There are a number of gambling sites that are licensed in Jersey however as mentioned above there are not as many of them as there are licensed by other Gambling Commissions and Gaming Authorities. ARJEL – It is very true to say that a lot of countries of the world have jumped onto the online gambling regulation and licensing bandwagon purely for financial reasons and that is something that France has been accused of doing. It was back in 2010 that France put into place legislation that now allows the Autorite de regulation des jeux en ligne or ARJEL as it is known to be in a position to license any gambling site holding one of their licenses. It is not, as France has found out to its cost, a sure-fire tax raising industry, licensing and regulating online gambling sites for the actual number of gambling sites who have chosen to become licensed by the ARJEL is tiny when compared to some other countries! Until such a time that France revisits the licensing fees and ongoing taxes charges to French facing gambling sites we are not expecting a sharp increase in regards to the number of gambling sites that have chosen to become licensed there! AAMS – One country in Europe that has made something of a much more concerted effort to put into place a strict yet not too overtaxed online gambling licensing structure is Italy and it is the AAMS or Amministrazione Autonoma dei Monopoli di Stato who are tasked with overseeing any company that offers gambling related services to anyone based in Italy. However, much like France the AAMS has chosen to put into place some very restrictive gambling taxes that all Italy licensed gambling sites are forced to pay into the Government’s coffers and as such the take up by gambling site operators to become licensed and regulated in Italy has not been what you would call overwhelming! Spanish Gaming Commission – One European country that set in place a licensing structure for online gambling sites rather late in the day, that being in 2014 was Spain, and as such any gambling site operator who wishes to legally operate in Spain and offer their service s to anyone based and living in Spain must apply for a Comision Nacional del Juego gambling license. Whilst some big named gambling companies have chosen to become licensed in Spain that actually online gambling marketplace is not what you could call huge there and with some higher than average license fees and gambling taxes the likelihood of their being an increase in Spanish licensed online gambling sites any time in the very near future is tiny! Malta Gaming Authority – The MGA or Malta Gaming Authority are in a very enviable position for being a low taxation island and with them being part of Europe they have been able to put into place an online gambling licensing and regulatory structure that is fully recognised by all other EU Member States. That simple fact has seen a huge number of gambling related companies choosing to obtain one of their licenses as by doing so those companies have been able to operate legally in many other European countries without the need of a secondary gambling license. However many EU countries now insist that even if any type of gambling site is licensed in another European country they still have to acquire a license in those additional countries to allow them to legally operate there too. Belgian Gambling Commission – You will find a small and select number of online gambling sites that are licensed, approved and regulated by the Belgian Gambling Commission, however one thing that Commission is famed for doing is adding onto their blacklist more and more online gambling sites that are banned from operating or offering their services to Belgium based players. One aspect of the Belgian Gambling Commission that has seen very few gambling related companies many any effort to get licensed in Belgium is that the taxation rates are astronomical, and with Belgium hardly being one of the bets and largest populated countries of the world it makes no financial sense for multiple different and therefore competing gambling site operators to become licensed there. Danish Gambling Authority – As long as a gambling site operator has applied for and has been granted a full remote gambling license by the Danish Gambling Authority or DGA as they are known they are able to legally offer their service sot gamblers based in Denmark, irrespective of where the company is based or where their gaming servers are based. You would have thought that would be incentive enough for many such companies to apply for such a license, however Denmark has fallen into the same trap as many other countries and have chosen t impose some huge taxes, charges and fees on gambling site operators who derive some or all of their income from Danish players and gamblers! Curacao Internet Gambling Association – If you are on the lookout for any type of gambling site at which to gamble at then you may come across a number of sites that appear to be licensed and regulated in Curacao. However, one thing you do need to be fully aware of is that in regards to regulating gambling sites Curacao is hardy up there with the best Gaming Commissions and Licensing Authorities. For you are going to find that any casino that does proclaim to be licensed in Curacao has simply based for a business type license and in no way are they required to adhere to a very strict or robust set of standards in regards to how their sites operate. As such the vast majority of online gamblers complaints are based around companies “licensed” in Curacao, so you may be best advised to avoid ever playing and gambling at such a site! Antigua Division of Gaming – There was a time when a huge number of online casinos and other gambling related sites held licenses as issued by the Antigua Division of Gaming, however as more and more countries of the world have chosen to put into place their own licensing procedures the number of gambling licenses licensed in Antigua has dropped sharply. In fact, you will find that many European countries for example no long recognise a gambling license if it has been issued by the Antigua Division of Gaming, and as such many companies have moved their servers and their business away from Antigua and are now based in European countries instead where their gambling licenses are recognised and more importantly respected! First Cagayan Leisure and Resort Corporation – The FCLRC is the licensing authority that oversees gambling activities and regulates the gambling industry in the Philippines. As such you are unlikely to have come across that gambling commission before if you do not live or reside in the Philippines. It is however hoped that in the very near future the FCLRC will be in a position to expand the services offered to gambling site operators, however in what way shape or form that will be achieved does remain to be seen. ACT Gambling and Racing Commission – Australia has not yet caught up with many other countries of the world in regards to fully embracing online gambling, and as such the only gambling related sites you are likely to find are licensed and regulated by for example the ACT Gambling and Racing Commission are lottery sites and sites that accept wagers on horse racing. However, one thing the ACT Gambling and Racing Commission does have is a lot of license holders, for if there is one pastime that a huge percentage of the population of Australia like doing it is gambling, and as such there is a lot of money to be made by licensed gambling sites servicing the needs of those Australia based gamblers! Northern Territory Director-General of Licensing – One additional gambling license issuer that is based in Australia is the Northern Territory Director-General of Licensing, and much like the Commission listed above they tend to concentrate their efforts on licensing, regulating and overseeing both horse racing related betting sites and lottery sites. However, we are of the believe that in the not so distant future there will be a change of direction for the Northern Territory Director-General of Licensing and we may start to see his role also encompassing the licensing of a range of different gambling related site including but not probably limited to online casinos, poker rooms and online bingo sites too. We want you to have a hassle free and hopefully profitable gaming experience irrespective of which gambling site you choose to sign up to and with that in mind please do stick to those sites you see reviewed and showcased throughout our website. We regularly test each of those sites out to ensure that not only do they still hold their respective gambling licenses but they also offer a fully rounded gambling experience to all levels of gamblers. 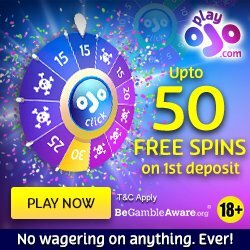 Keep in mind there are always going to be several defining factors that will make one gambling site much more attractive than others, so be on the lookout for site offering generous and well throughout promotional offers and bonuses that come with fair terms and conditions, and also sites that give you plenty of deposit and withdrawal options. Plus, any site that pays you out quickly is always going to be high up your list of sites to play at, so aim to play at casinos and other gambling sites offering same day payouts as you will not be waiting very long for your payouts to be processed and sent back to you!